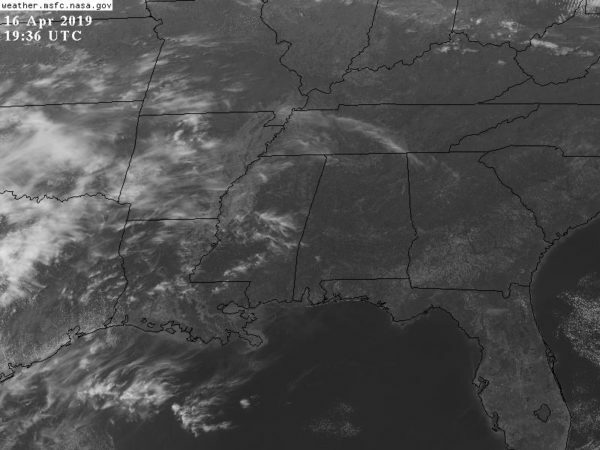 SPECTACULAR SPRING DAY: Today has been another delightful day for Alabama, with sunshine in full force this afternoon and temperatures generally between 76 and 80 degrees. The sky will stay clear tonight with a low in the 50s. Wednesday will be another sunny day with a warm afternoon; the high will be in the low 80s. While we enjoy the pleasant day, strong to severe storms will break out to the west in a broad zone from Texas to the Midwest. THURSDAY/THURSDAY NIGHT: Strong south winds will develop across Alabama Thursday ahead of the storm system to the west, clouds will increase and the high will be in the upper 70s. Storms will move into the state by late afternoon or early evening, then progress slowly eastward Thursday night. 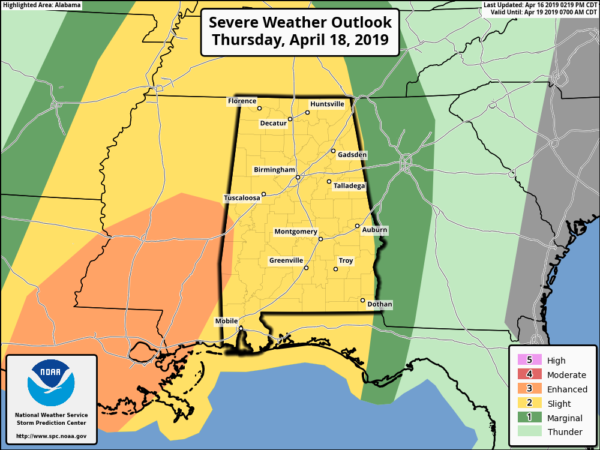 The Storm Prediction Center now has parts of Sumter and Choctaw counties in west Alabama under an enhanced risk (level 3 out of 5) of severe storms Thursday night; the rest of the state is under a slight risk (level 2 of 5). The primary 12-hour window for strong to severe storms in Alabama is from 4 p.m. Thursday through 4 a.m. Friday. New guidance suggests most of the stormy weather will come Thursday night. New model data shows higher instability values than recent runs, supporting the severe potential. The best combination of instability and shear will be over southwest Alabama, near the enhanced risk area defined by the SPC. But strong to severe storms are possible statewide Thursday night. Storms could produce large hail; strong, gusty winds, and a few tornadoes. Everyone needs to be weather aware Thursday night and have a way of receiving warnings in case they are needed. FRIDAY: The risk of severe storms will move off to the east, and a deep, cold-core upper low will move right over Alabama. This will set up a cloudy, much colder day with periods of rain. We will hold in the 50s all day, and we might even see some hail from showers because of the cold air aloft. EASTER WEEKEND: The weekend will be dry with a warming trend and lots of sunshine both days. 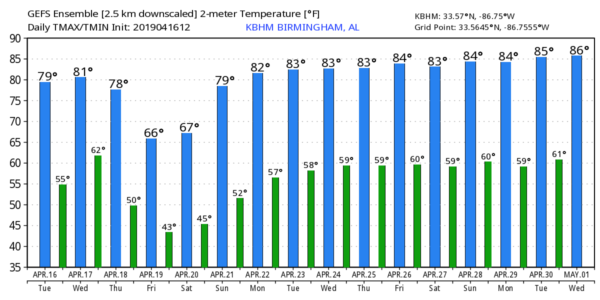 The high will be close to 70 Saturday, followed by upper 70s Sunday. For Easter sunrise services, temperatures will be in the 42- to 47-degree range. NEXT WEEK: The weather will be dry Monday through Wednesday; showers and storms return Thursday. It remains to be seen if the storms will be severe; dry air will likely return by Friday and the following weekend (April 26-28).